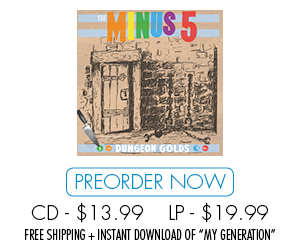 The Minus 5’s upcoming album, Dungeon Golds, is now available for pre-order at the Yep Roc Store. 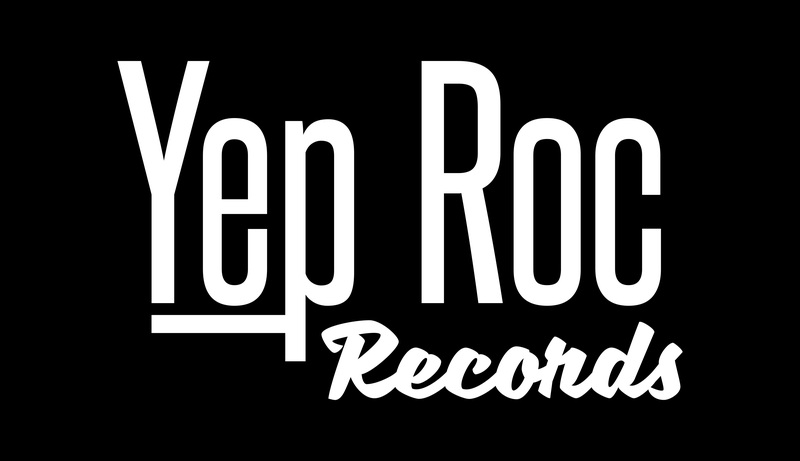 All pre-orders will be shipped free of charge and will include an instant download of “My Generation.” Plus, there’s a last-minute pre-order bonus: All CD+LP pre-orders in the Yep Roc Store now come with an instant digital download of the full album – including fans who have already purchased their pre-order. Listen to new track “In the Ground” now in the player below, premiered via PopMatters. Dungeon Golds was recorded primarily in the basement (a.k.a. 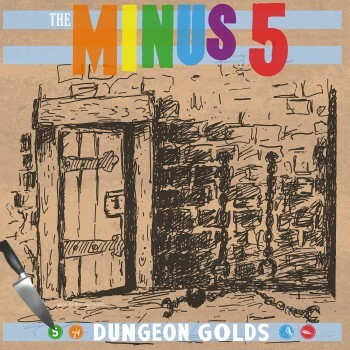 The Dungeon) of Scott McCaughey, leader of The Minus 5. These songs are the product of sporadic spare moments of inspiration over the last few years. This collection was artfully curated, by McCaughey, from the extremely limited edition (750 copies) Record Store Day 2014 vinyl only box set, Scott The Hoople In The Dungeon Of Horror. In the process of compiling these tracks, McCaughey could not resist reworking several of these songs. As a result, half the songs are different versions than what appeared on the box set. This is the first CD/digital release of any of these tracks. Guests include, Peter Buck, Jeff Tweedy, Ian McLagan, Jon Moen and Nate Query (The Decemberists), Linda Pitmon, and many others.